That was my ancestry-obsessed Southern grandmother's first question about any new acquaintance. Breeding and background are a Southern thing; an obsession with bloodlines -- whether those of our neighbors, our horses, or our hunting dogs -- a value deeply woven into its culture. Perhaps that is why provenance, the rare book equivalent of genealogy, is such a fascination of mine; I am keen to know just who the people were who once owned and handled the books I come across in my work. One of my treasured possessions is a 19th century Steer's Universalist hymn book (above) inscribed by my however-many-greats-grandfather, Gen. John Baylis Earle, to his wife Ann. Another beloved book is a Moravian prayer book owned by great-grandmother's Aunt Rosa--a sort of fin-de-siècle Auntie Mame when she was a student at Salem Female Academy (or as she refers to it irreverently in one of her many margin notes, "Satan's Favorite Abode"). Rosa used her prayer book for just about everything but it's intended purpose--it is filled with pressed flowers and billets-doux from her beaux and notes about her friends, foes, and social calendar. 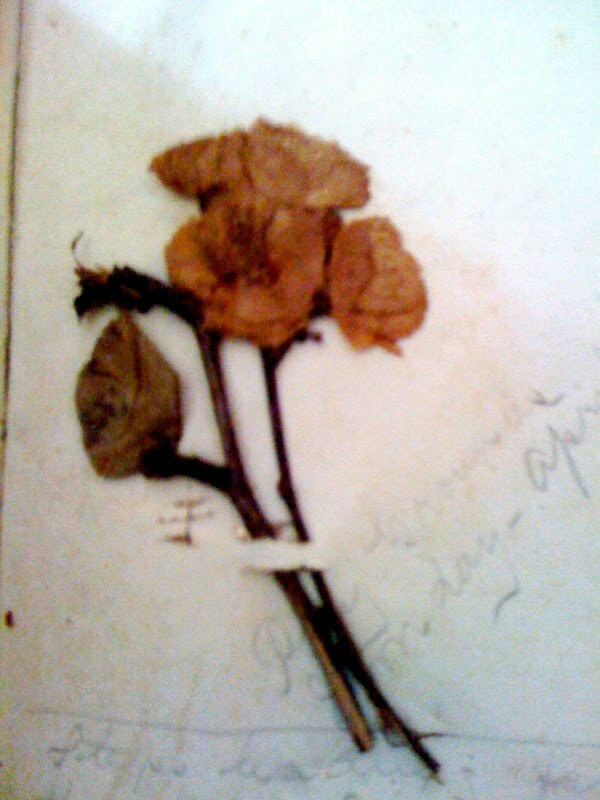 The page shown above preserves flowers she received at a dance in April 1892. 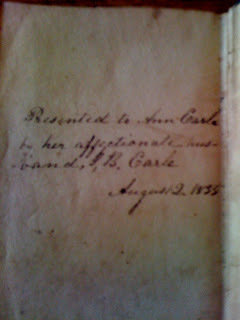 A signature or inscription can bring the past vividly to life, as we consider where this book we hold in our hands has been and what is has meant to past owners. One of my favorite tasks as a researcher for a rare book dealer is channeling my inner Nancy Drew to unearth tidbits of information about the people whose bookplates or signatures appear in the books I catalogue. Sometimes, a book's provenance is an important selling point: A binding from the library of the collector Robert Hoe, founder of the Grolier Club and a very discriminating collector, is justly assumed to be of first-class workmanship and in fine condition. Hoe's rather demure morocco bookplate (above) is a seal of approval. 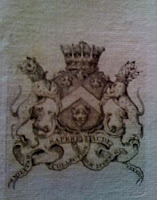 The impressive armorial bookplate of the Earls of Macclesfield (above) testifies that a volume comes from one of the greatest private libraries ever assembled. Sometimes provenance research gleans an interesting bit of trivia that appeals to the imagination of some collectors. Research on Russian bookplate of Count Alexei Uvarov in an volume of English "conduct literature" (i.e., a book of deportment for young ladies) turned up the unexpected information that the owner had been a noted archaeologist whose educated and accomplished wife was the model used by Tolstoy for the character of "Kitty" in War and Peace. A recent acquisition's provenance hit the trifecta: it combined a romantic story, a magnificent binding, and thrilling (to me, at least) associations. A binding by T. J. Cobden-Sanderson. 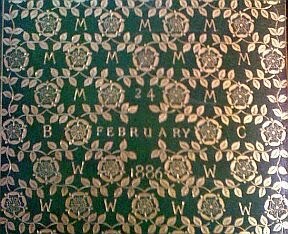 The binding pictured above was executed by the greatest figure in modern English bookbinding, Thomas James Cobden-Sanderson (1840-1922). When C-S was casting about for some way to participate in the Arts and Crafts movement that flourished in England at the end of the 19th century, Jame Morris, wife of movement leader William Morris and muse of the Pre-Raphaelites, suggested he try his hand at bookbinding. It turned out that C-S had an amazing sense of design and a real talent for the craft. The techniques he developed revolutionized bookbinding, and set the standards for a new generation. C-S completed his first binding in 1884, and two years later received a special request from a friend. 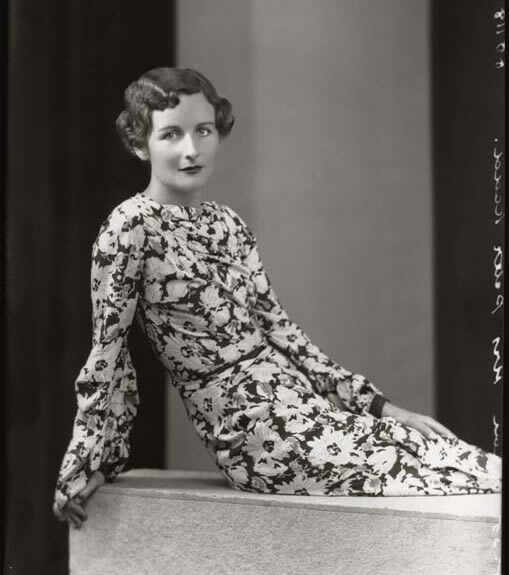 Lady Clementine Mitford was in search of a unique gift for her husband's 49th birthday, and decided that a volume of poetry in a special binding would be just the thing for her book-loving husband, the diplomat Bertram Freeman-Mitford. 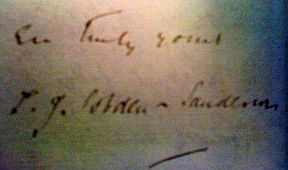 C-S notes in his journal that Mitford delivered the book, a large paper copy of Tennyson's The Princess, to him on 19 January 1885, with instructions that it must be completed on by her husband's birthday on 24 February 1886, but leaving the design, "mode and finish" entirely to C-S -- a wise decision. 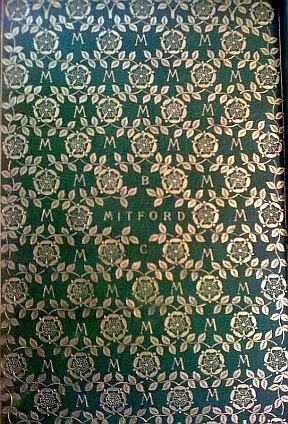 The result is a binding covered with one of the earliest incarnations of Cobden-Sanderson's Tudor rose tool, the upper cover with the name "MITFORD" tooled in gilt, a "B" above it and a "C" below it, and with a score of Ms in the ogival compartment formed by the roses, and the lower cover cover with the baron's birthday "24 FEBRUARY 1886" and an interesting variation on the M decoration. The binder's notes about this work observe that "the design of back-side varies from front. The 'M' is inverted in the lower half [of the back]. This, an accident, [is] a great improvement. Time 54 3/4 hours. Undercharged." Charming, no? But wait—there's more. Laid in at the back is a letter from C-S to Lady Clementine dated 23 February 1886, hoping that the binding, which he is sending "by a sure hand" arrives in time for the birthday celebration the following day. Artists. No sense of time whatsoever. No doubt poor Lady C was in a state worrying about her gift for the great occasion. Tipped onto the rear pastedown is the bill for the "undercharged" amount of £ 6.6.0 (the equivalent of approximately £3,350 today). 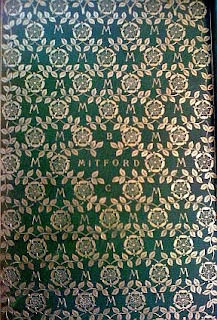 As readers who are fellow sufferers of Mitford mania know, the giver and receiver of this exquisite object are best known today for being the grandparents of the brilliant and scandalous Mitford sisters, including the Communist, activist, and journalist Jessica; Nazi sympathizers Lady Diana Moseley, wife of the leader of the British fascists, and the tragic Unity, who shot herself when war broke out between England and her beloved Fuhrer; Deborah Cavendish, the dowager duchess of Devonshire; and one of my favorite writers of all time, the inimitable Nancy Mitford. It is a thrill to know that this volume one resided in the library at Asthall Manor, the childhood home whose library Nancy lovingly recreated in her great novel Pursuit of Love, although its sterling condition makes it very clear that is was safely shut away from childish hands. Holding this book in my hand, I feel connected to the Mitfords. Every book has a story, and a book can be a thrilling read, a rare treasure, an exquisite object, or all of the above. But a book can really come alive when you discover who its people are and what their story is. Breeding and background -- it's a rare book thing. Binding images courtesy of Phillip J. Pirages Fine Books & Manuscripts. I thoroughly enjoyed reading this and related all too well to the bibliophile-genealogist-detective aspects. Kudos--well done! I love old books. This post was a treat well digested. "Habent sua fata libelli," and clearly this book was fated to pass through your hands. 1. Every book its reader. 2. Every reader its book. All, thanks for your kind words. It's always gratifying for a writer to know there's someone out there reading! This is responding a year later, but could the hymnal be "S. & R. Streeter's The New Hymn and Tune Book designed for Universalist Societies". first published in 1829 - new printings through at least 1845? I've seen a copy in an old Universalist church in South Carolina, and don't know of a hymnal by Steer.